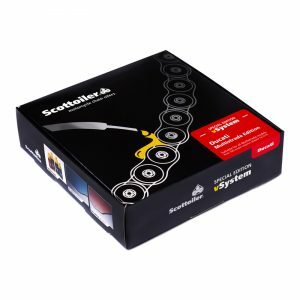 Home/Explore Scottoiler/What is a Chain Oiler? 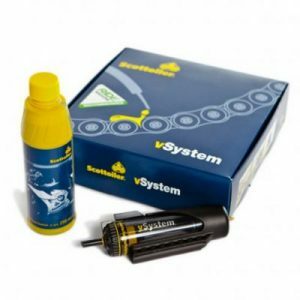 Chain oiler systems are accessories for your motorcycle that take over the entire chain maintenance regime. Automatic chain lubrication means no more messing around with dirty chains and more time to ride. Traditional chain maintenance is messy and time-consuming. No one likes it and sometimes we just put off cleaning and lubricating the chain. You do it too? The problem with traditional chain spray is that it’s sticky and tacky. It has to be – so that it stays on your chain for as long as possible. However, due to its tackiness, your chain will pick up dirt and grit from the road. Over time this then turns into the black grinding paste that every motorcyclist hates. This grinding paste is what wears away your O-Rings and ultimately makes your chain fail prematurely. With a Scottoiler chain oiler system, you are always feeding minimal amounts of oil to your chain. This allows us to use a lubricant that has almost no tack additives and dirt and grit will not stick to it. A cleaner chain means your chain does not develop the black grinding paste. Your chain will last up to 7 times longer, plus you don’t need to manually clean and lubricate it every 300 miles. Enjoy more time on the road – with a Scottoiler chain oiler system. 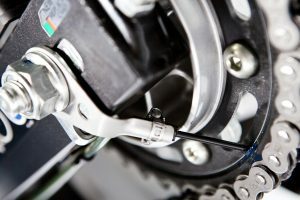 Motorcycle chains need regular maintenance to stay efficient and reliable. Your manufacturer’s handbook probably recommends a thorough cleaning and accurate re-lubrication of the chain every 300 miles. 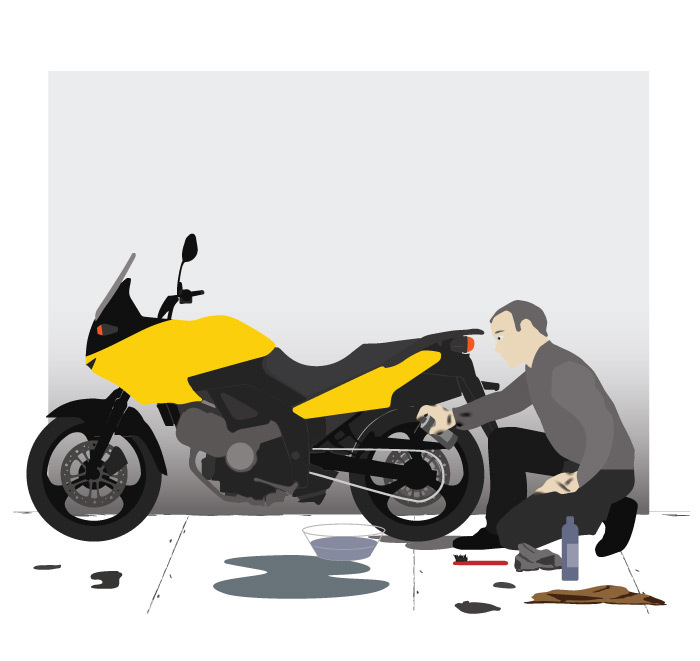 Failing to keep the chain well maintained will result in internal wear of the chain, and subsequently the sprockets. The results are costly repairs or even worse, a failed chain. 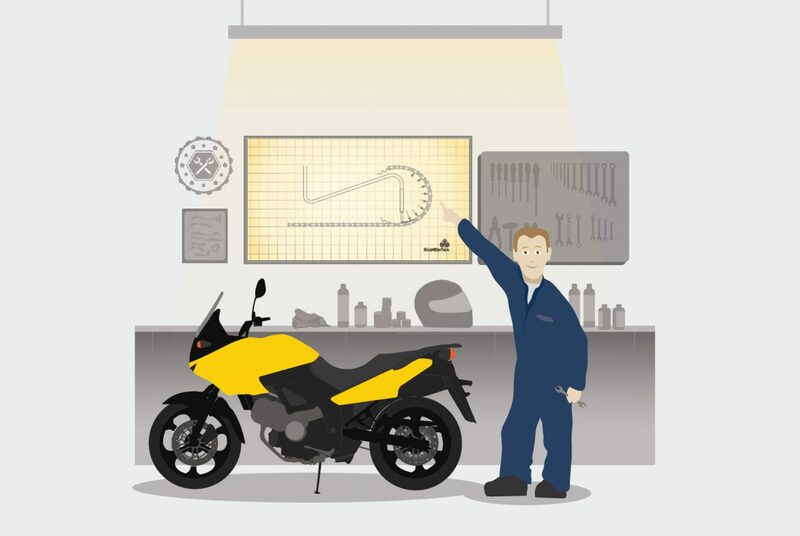 We have created a fantastic resource that explains in detail why and how your motorcycle chain wears and why cleaning and lubricating your chain regularly is so important. 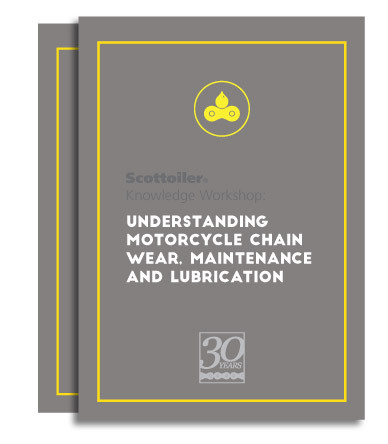 In the second part of the ebook, we then show how automatic chain lubrication can make your life easier and safer and how you can save money on replacement parts and workshop time. The ebook is now free to download for a limited time only. This is our special present for you! 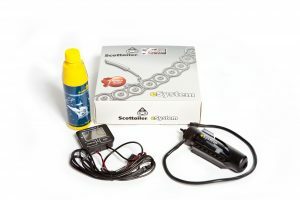 A Scottoiler chain oiler system can be installed on any bike. 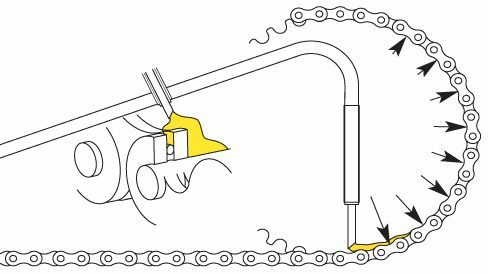 Once set-up the system automatically lubricates the chain while you ride. The reservoir holds enough oil for 1000 miles at our recommended starting flowrate of 1 drop per minute. The range can easily be extended with our Touring Reservoir. 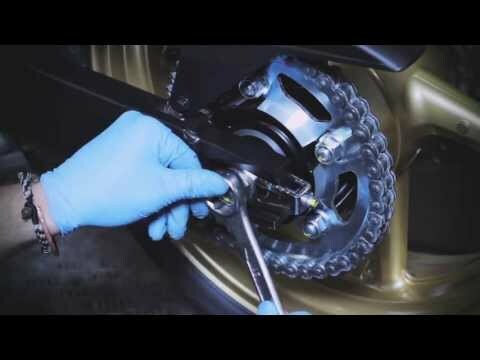 Watch this video for an example installation on a Honda Hornet. 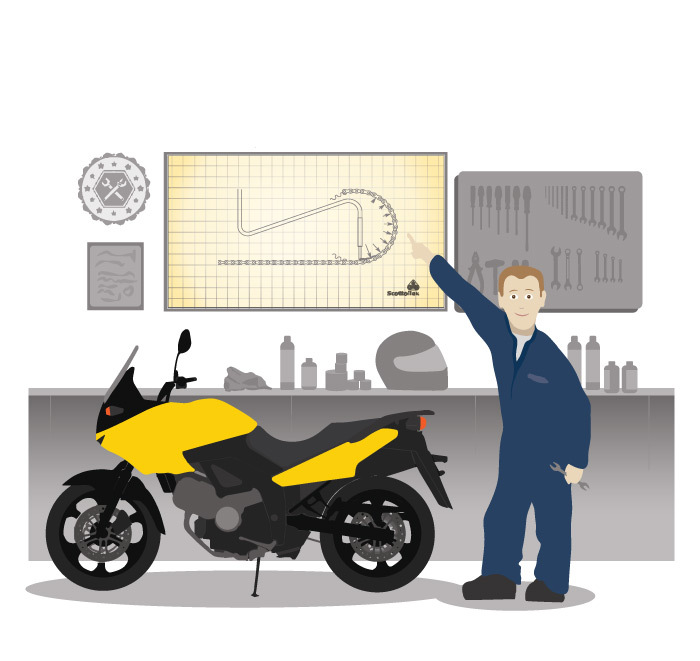 Did you know that we offer model-specific installation guides for almost every motorcycle model? 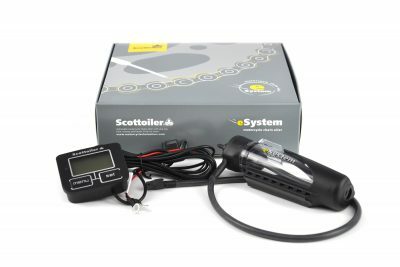 Just go to www.scottoiler.com/mybike and search for your make and model. The Scottoil lubricant is fed to the chain via the rear sprocket. When a drop forms the rotation of the sprocket picks up the lubricant and creates a fine film along the sprocket face. Through centrifugal force, the lubricant is forced out and pushed into the chain, exactly where it’s needed. 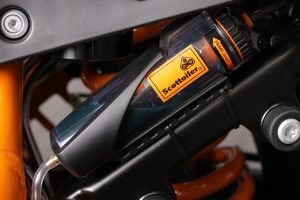 The Scottoiler vSystem is the benchmark for automatic motorcycle chain oiler systems. Refined for over 30 years the system is universally used, by motorcyclists all over the world.